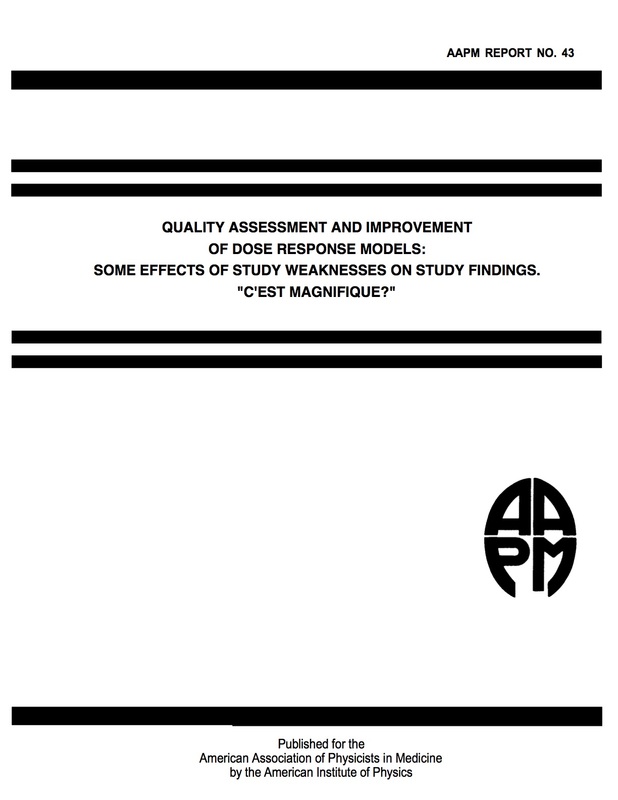 AAPM Reports - Quality Assessment and Improvement of Dose Response Models: Some Effects of Study Weaknesses on Study Findings "C'est Magnifique?" Practicing radiation oncologists may not be aware of a crisis in the theoretical underpinnings of their profession. In this Monograph a “task-group” of the AAPM, with the continued support and guidance of Professor Donald Herbert, who first noted insistent problems arising in the interpretation and application of radiobiological data, reports on the statistical inadequacy of many historical and contemporary studies which have been accepted as a basis for the construction of models used in clinical practice. Use of these flawed models may well have retarded progress in the past and, more importantly, still threaten to inhibit future advances in the practice of radiation oncology.